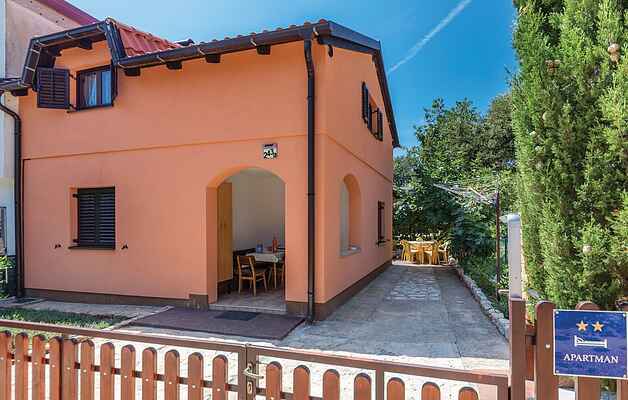 These two tastefully furnished holiday apartments CIO099 and CIO124 are located in a quiet part of the small Istrian village of Pavićini. Apartment CIO099 is located on the ground floor and has a covered terrace, while the CIO124 is located on the first floor; with a minimum ceiling height of approximately 140 cm. Guests of the CIO124 have an outdoor separate entrance and an open terrace on the ground floor. Those apartments are ideal for families or friends who want to spend their vacation together. On the common plot there is a barbecue perfect for cozy gatherings. Be sure to visit Pula, which is rich in cultural attractions and numerous manifestations. Istria is designed for cycling and is an excellent choice for exploring hidden parts of pristine nature, charming places and medieval towns full of beauty and rich history.